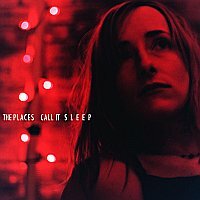 Portland, Oregon's Amy Annelle fronts the soft, sweet, beautiful indie-pop-meets-folk outfit The Places, a band that has made plenty of friends and fans wherever it goes, and tours relentlessly. Releasing their debut full-length, The Autopilot Knows You Best on San Francisco-based Absolutely Kosher Records, the band garnered rave press from magazines and fanzines alike, as Annelle kept touring, as a solo artist, as a duo, and a few times with a full-band. Following touring in support of The Autopilot Knows You Best, Annelle came home and started working on what would become The Places' second full-length, Call It Sleep, a title that came from a book of the same name written by Henry Roth. "The album title is a homage to this kid, David, in the book, the main character," Annelle tells me, when asked why she decided to name the album after the book. "The songs are very personal," she continues, "as is the book. I was going through a lot during the writing and recording of Call It Sleep, and I felt I could relate a lot to the kid in the book. Whether or not you've read the book, I think the title is a great one, and fits, so I called the album that". 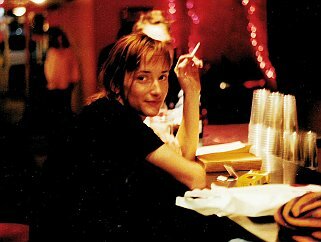 Annelle's life wasn't easy, though she won't elaborate, during the making of the record, which lends significantly the album's dark, personal feel, the late-night, sitting around with a friend, confessional feel that makes the album an instant confidant when you find yourself in similar situations. "Those songs came out of a really difficult time. To see them recorded and put in an environment where they could be shared with people," Annelle says, recalling the first time she listened to the finished record, "to me they're very personal. The situation wasn't ideal to go into and record them at the time. But I think they came out great and I am glad I got through that period, and am able to give something to people that may help them out of similar situations". Annelle credits a lot of the record to her close friends who played on it, helping her bring the songs to life, and help her get out of the place she was at. "The songs came out of darkness and isolation, and trying to put pieces back together...", she trails off, thinks for a moment and then continues. "To hear them brought to life, by the people I care about, that is surreal." Using her four-track to catch the songs and get melodies down, which she almost always does, Annelle decided to try a different approach to recording time around. With Autopilot, the band would record a song at a time, whenever they could afford to record, spreading out the recording over months before the final record was done. 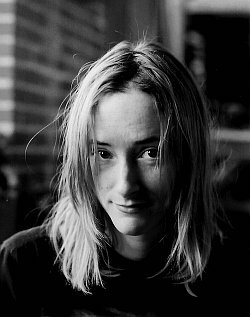 With Call It Sleep, however, Annelle and company recorded all the basic tracks first, went on tour to help liven up the songs ("we got intimate with the songs over the year of touring," she tells me), and then came back to finish them, which, for Annelle, really helped the songs come to life. "The songs changed a little bit in their structure," she comments, regarding touring the songs before finalizing the recordings." She is quick to point out, though, that even after touring in support of the record before finalizing recordings, now that they're done and touring in support of them again, things are still changing. "The thing that gets recorded is the thing that gets remembered and is the way it is, while the live show always changes," she informs me. "Especially now, since we're touring as a duo, Jude [Webre] and I; we're a gruesome two-some. So they're quite different from the record, but we'll be doing a full band tour after this and it will be a bit more like the record. "However, with just the two of us up there, it's a lot more intimate playing, and it brings out a lot of qualities of the songs." After finishing the record, Annelle called upon her old friend, Chad Crouch, owner of Portland-based Hush Records, the label that had released all of Annelle's solo offerings. Annelle had made the decision to move on from Absolutely Kosher Records and find a new home. And Hush seemed liked a natural fit. With the record out, and a recent tour supporting friends The Long Winters and The Decemberists, Annelle plans to keep on the road as long as possible, and play as many places as she can. She notes that, following the release of the record, and touring with friends, they've moved up to bigger venues, and continue to do so with each tour. INTERVIEW: The Oohlas: Former Everclear drummer fronts his own rock band, The Oohlas INTERVIEW: The Prids: New Wave? Gothic? With A Twist? None, says the Pop Band!